Paraclipse fly control is the premiere no mess, sanitary option available for controlling insects. Insects have a natural attraction to certain types of light. People have begun to use this particular natural instinct to their advantage in maintaining control over insect populations. One reason why people have trouble being outdoors is that they may have insect issues. When someone walks outside you do not want to be overwhelmed with mosquitoes, flies, or other flying insects. Using a passive lighting solution to control insect populations allows you to enjoy your outdoor spaces in comfort. Here, at 1000Bulbs.com, we offer a range of Paraclipse fly and mosquito control options. Simple ultraviolet bulbs attract insects to a sticky surface. All you have to do is keep the light running and replace the no mess cartridge on a regular basis. If you want to enjoy your outdoor spaces, it is important to make sure your guests do not contend with flies, mosquitoes, or other flying insects. Installing one of these control options is a great way to keep these populations under control and provide your guests with a comfortable outdoor experience. Paraclipse fly control is not just for residential applications. Many commercial spaces also have to deal with insect control issues. No mess, sanitary Paraclipse insect control solutions are ideal for any number of applications including food processing plants, supermarkets, hospitals, warehouses, and food preparation areas like kitchens where a sanitary solution required to meet USDA and FDA guidelines. Whether you have a small problem or large one, we have solutions that can help you. This reduces the amount of maintenance required and helps you meet guidelines while maintaining a clean and stress free environment. Reducing these pests using passive means will allow your work to continue and your employees to work safely. Bug zappers cause insects to explode contaminating the surrounding area while standard sticky strips and pads are unsightly and messy. When you use a Paraclipse fly control or mosquito control unit, you are dealing with no harmful chemicals or pesticides and the insects are wound into a patented no mess, easy to change cartridge. These units are capable of reducing the numbers of flies and mosquitoes in your area without putting harmful ingredients into the air. These are perfect for any number of industrial, residential, or commercial applications. 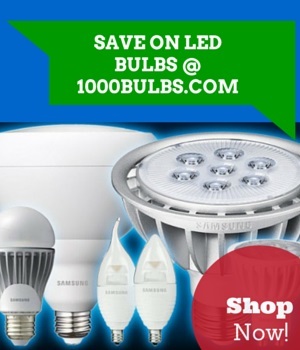 Once you have one of these installed, you can continue to come back to 1000Bulbs.com and order replacement bulbs and cartridges to keep your insect control up and running. If you want a clean, insect free environment, it is important to take proactive steps to prevent infestation. These are the way to go.